We are back for a Special 420 show. Blurred Vision is a Comedy and Music Show which show cases some of the best local acts along with Comedian Host "Smokey Deese" @deesepaul & Adult Film Star "Luna Skye" @XLunaSkye !!! Join us at @TikiBarOC, Indoors there is a full bar with beers and your favorite mixed drinks, 2 pool tables and the stage with live music. Outdoors we have food, Vendors and a smoking patio where you can enjoy a doobie if you'd like (420 friendly). You must be 21 n over to enter. 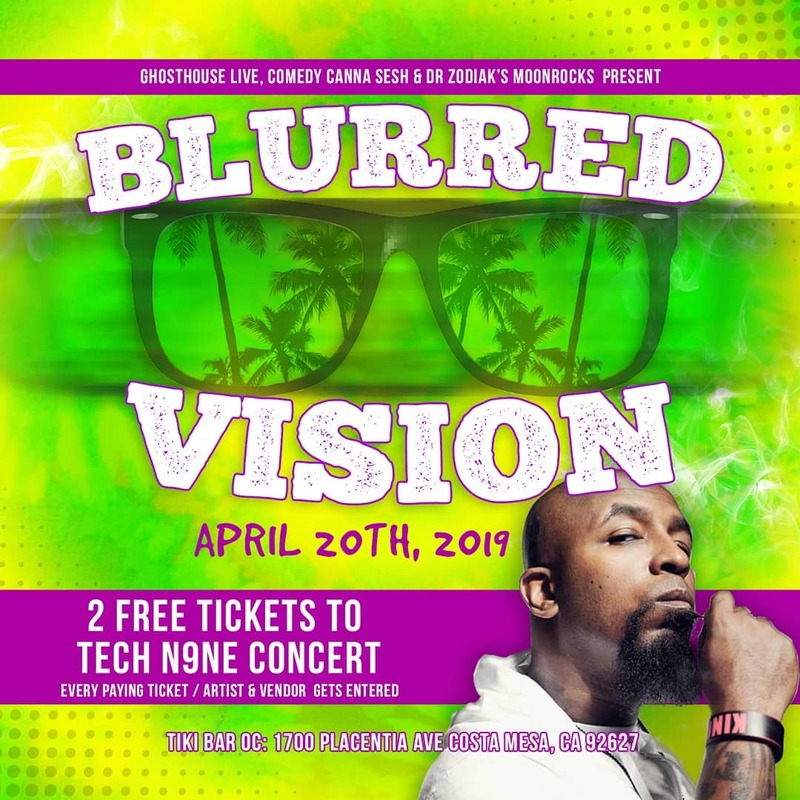 When you buy your tickets to BLURRED VISION 420, you will automatically be entered to win 2 tickets to the TECH N9NE show at the NOVO on April 29th. The tickets will be given away on stage at the show. Do not miss your chance to win all of our giveaways... We will be giving away 3 bongs at this show. We are excited to have everybody come hang with us. 4/20 is a holiday for our community. Purchase your tickets today, Ticket Link on Bio!